The Ocean Biogeographic information System (OBIS) aims to absorb, integrate, and assess isolated datasets into a larger, more comprehensive picture of life in our oceans. The system is expected to stimulate research about our oceans to generate new hypotheses concerning evolutionary processes, species distributions, and roles of organisms in marine systems on a global scale. 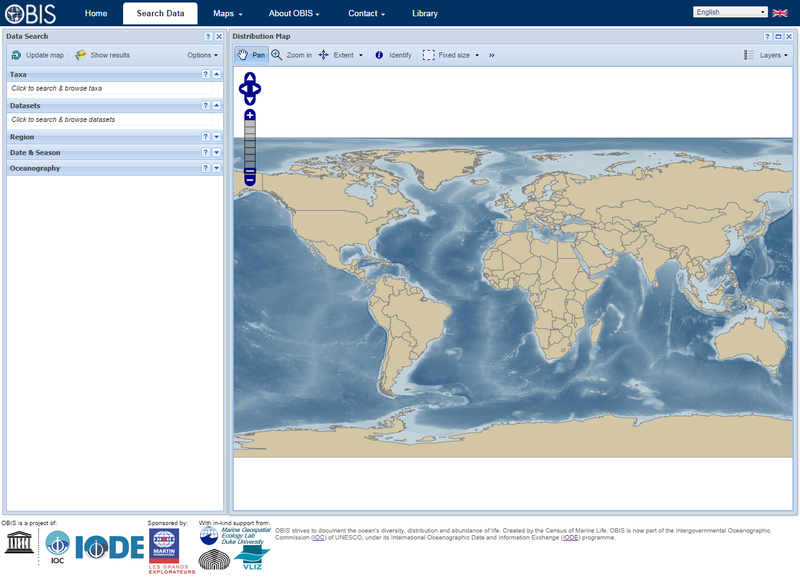 OBIS provides a portal or gateway to many datasets containing information on where and when marine species have been recorded. The datasets are integrated so you can search them all seamlessly by species name, higher taxonomic level, geographic area, depth, and time; and then map and find environmental data related to the locations. With the evolving OBIS database repository, users can identify biodiversity hotspots and large-scale ecological patterns, analyze dispersions of species over time and space, and plot species' locations with temperature, salinity and depth. Created by the Census of Marine Life (CoML), OBIS is now part of the Intergovernmental Oceanographic Commission (IOC) of UNESCO, under its International Oceanographic Data and Information Exchange (IODE) Programme. The following web service technologies are provided for retrieval of OBIS biogeographic distribution records: REST Services, DiGIR, OAI Services and OGC Services.